With so many tomato varieties and uses in the kitchen, it’s no wonder tomatoes are one of our most popular vegetables! 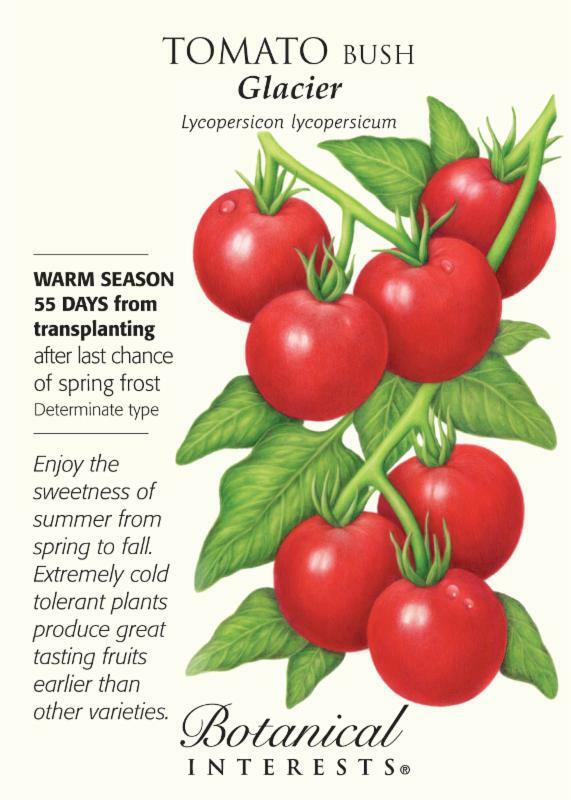 We receive a lot of customer requests for additional tips and tricks on sowing and growing the best tomatoes. 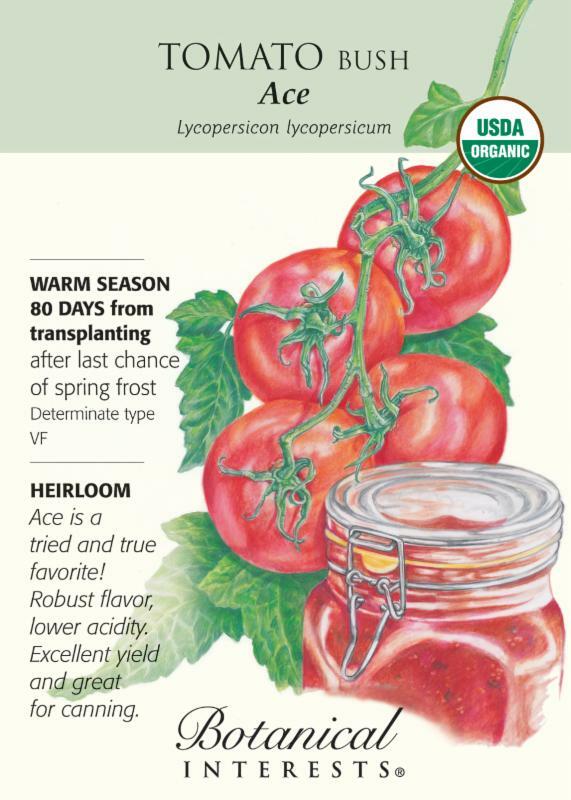 Start tomatoes indoors 4 to 6 weeks before average last spring frost, and transplant them out when daytime temperatures are at least 45°F, and soil temperature is ideally 70 – 90 degrees. We have many great seed varieties from Botanical Interests seeds available in our Garden Center. Use shallow, sterile containers with drainage (4- or 6-pack at a garden center). Transplant into larger, 3″-4″ containers once the true, scalloped leaves have emerged. Biodegradable paperboard pots (link) are the ideal size, easy to label, and easy to share with friends. Use a lightweight seed starting mix/media, and sow seeds at a shallow, 1/8″-1/4″ depth. Seed-starting mix is sterile (unlike garden soil) and lighter than potting mix, allowing for the ideal air-to-moisture ratio. When transplanting seedlings outside, either 1) plant them deeply, burying the stem leaving 1-2 sets of leaves above ground; or 2) set each plant almost horizontally in the ground leaving 2 sets of leaves above ground. The buried part of the stem will sprout roots and develop a strong, extensive root system. The top of the seedling above ground will naturally reach toward the sun and right itself. Place any stakes, cages, or other type of supports in the ground just after transplanting to avoid root damage. Temperatures above 55°F at night are required for fruit set. Night temperatures above 75°F in the summer inhibit fruit set and can cause blossom drop (no fruit production). Wait until night temperatures are at least 45°F before transplanting. Tomatoes need about 1″-2″ of water per week, depending on the type of soil they are growing in. 1 or 2 deep soakings per week in mild weather, and 2 or 3 per week in hot weather should be sufficient. If tomatoes are cracking, back off on the water. Too much water can burst tomatoes and water down the flavor. Each variety is different when it comes to color. 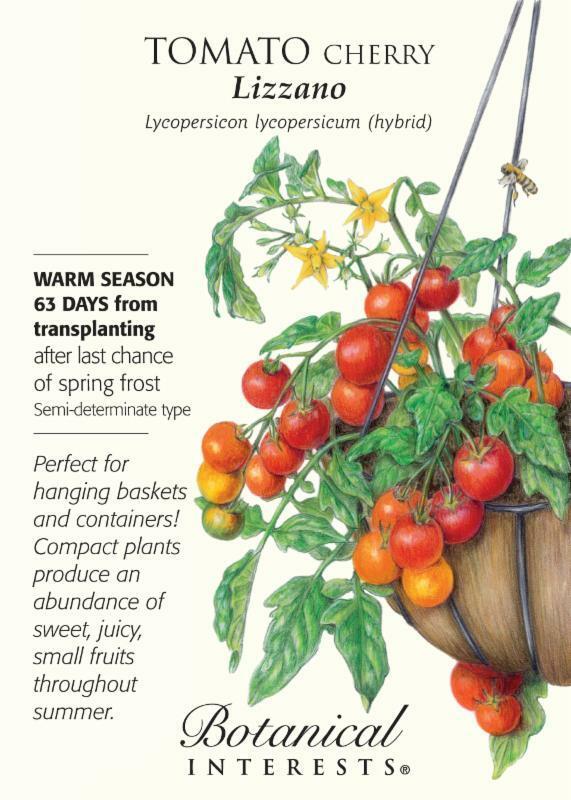 Check your seed packet to see when the tomato is ripe. Tomatoes are grouped into two main types according to growth habit and production. DETERMINATE types (e.g., Ace 55, Glacier, Italian Roma) grow in a compact, bush form, requiring little or no staking. Fruit is produced on the ends of the branches; most of the crop ripens at the same time. One or more successive plantings will ensure an extended harvest period. Determinate types are often the choice of those who want a large supply of ripe fruit at once for canning. INDETERMINATE (e.g., Better Bush, Sun Gold, Black Krim) varieties continue to grow and produce fruit all season until first frost. Tomatoes in all stages of development may be on the plants at one time. The plants set fruit clusters along a vining stem, which grows vigorously and long. Under optimum conditions, some can grow over 15′, but in most home gardens they generally reach about 6′. Some indeterminates have a bush form with stockier vines, which set fruit clusters closer together. In between these two types are the SEMI-DETERMINATE (e.g., Lizzano). The plants will grow larger than determinate varieties, but not as large as indeterminate. They produce a main crop that ripens at once, but also continue to produce up until frost.